Diving into the world Kevin Hearne crafted in Hounded was a treat. When you read as much urban fantasy and paranormal novels as I do, you tend to find commonalities constantly. But Hounded felt completely fresh with twists on magic and mythology that demanded attention and often left me grinning. Atticus O’Sullivan is a 2,100 year-old druid. He’s mortal, but by learning magic and making nice with a goddess or two, he’s managed to avoid death. He has fused iron to his aura protecting him from all but the biggest and baddest fae and gods. He can still die, which is why he’s spent centuries staying away from an old Irish love god. He has an ancient item that could help bring about war, and he’d sure like to keep it in his possession. 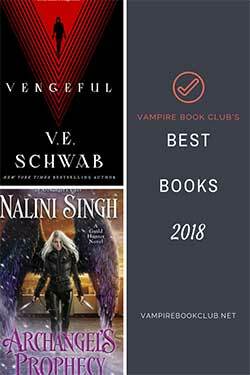 But what happens when the gods start taking up sides and place Atticus, his dog, the local werewolves and his new life in Tempe, Arizona, in the middle? Bloody battles, colluding with potential enemies and working with and against witches to stay alive. 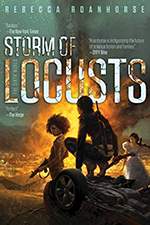 If you read this blog often enough, you’ll know I appreciate urban fantasy authors who can appropriately inject humor into what could otherwise be a very dark novel (think: Jeaniene Frost, Kim Harrison and newbie Allison Pang). Hearne does this deftly. His hero Atticus has worked his magic mojo to enable him to communicate with his Irish Wolfhound named Oberon. While they can talk mentally, Oberon is still a dog. So, he’ll be happy to tell you he likes someone simply because they rub his belly. The dog gets fixated on Genghis Khan and Atticus indulges him because it’s a fun dalliance for them both. Maybe I like this so much because I have a hound dog at home, too, and I think he’d behave far too much like Oberon. But I think it’s more a lightness and a friendship that helps keep Atticus grounded and someone to relate to, despite the 2,100-year age gap. Hearne’s writing is witty, his plot engaging and his protagonist the kind of guy you’d want to grab a pint with. 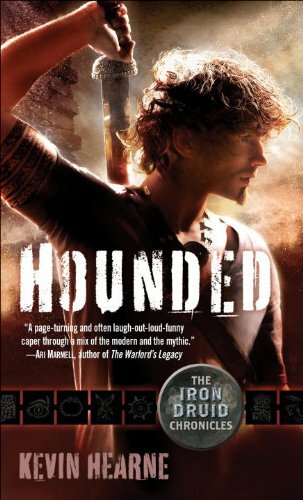 Hounded is a treat, and with the rapid-fire releases of the second and third Iron Druid Chronicle titles — Hexed and Hammered in June and July respectively — it won’t be long until we get more. We suggest pre-ordering the next two as you pick up Hounded. Really, you’ll want more. I want this book. That is all. This is probably one of my favorites in a LONG time. Viva la Atticus!